For Today’s Make it Monday Craft I was inspired to make embellished gem stone glasses for my dolls like some I have seen on line. 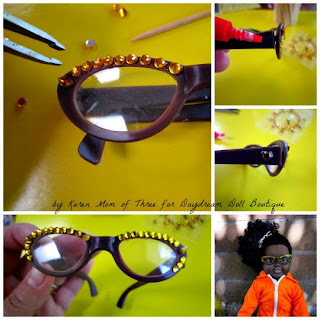 These Gem Stone Glasses took only a few minutes to make and cost under $5. Making them one of my most favorite Make it Monday Crafts Ever! Step 1- Assemble all your supplies. Step 2- Place your gem stones where you would like them to be without using the glue. Step 3- Once you are happy with the placement; begin carefully gluing the gem stones in place, one by one. Using a pair of tweezers and a tooth pick to press them into place. 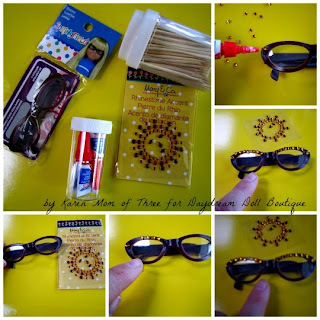 Step 4- Be sure to embellish your glasses on the sides too, I added one larger gem stone in the same colors on the arms of each side of my glasses. Let dry and then try on your doll! 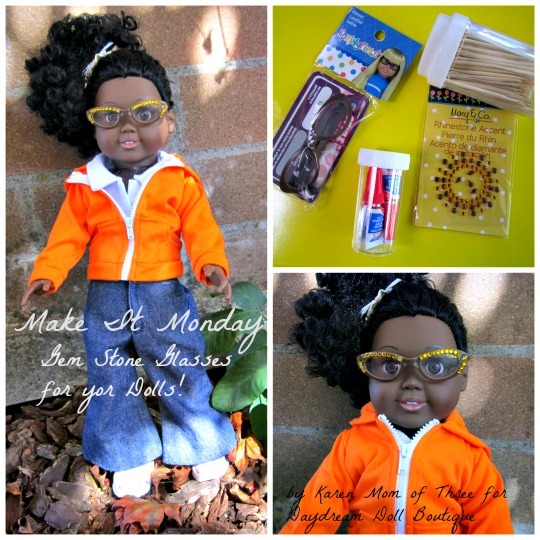 I hope you have enjoyed today’s Make it Monday Craft! I look forward to sharing more craft ideas with you again soon. Today I used my Springfield Doll Madison as a model. 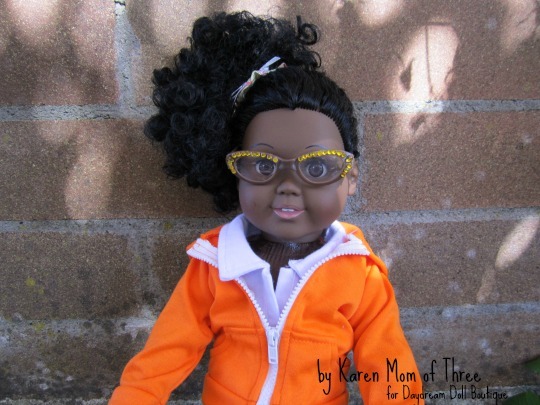 Awesome, both of my girls wear glasses (new this year), and they have soon an interest in a doll with glasses....now, I can make mine own to match their glasses as they are getting dolls from Santa. Ideas for glass cases?